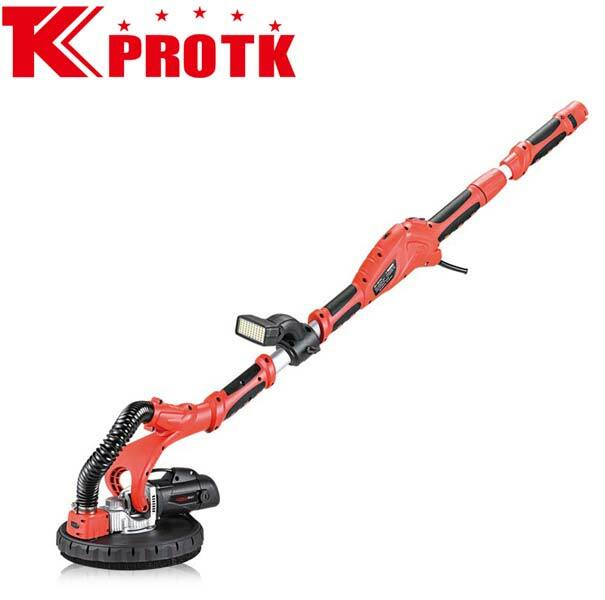 We are one of the leading manufacturers, exporter and supplier of Drywall Sander (TK-2300L) from Yongkang, China. This powerful Drywall Sander of 750 watt has 1700 rpm with short length of 142 cm and long length of 192cm. It has many unique features like adjustable suction system, soft grip handles with strong dust collection effect and amazing LED lights. Our packaging includes sanding pater (6pcs), internal hexagonal wrench (1pc), carbon brush (2pcs), 4 meter soft tube (1pc) and adapter (1 pc).